Now, in part III, let's begin talking about how you should choose a truck driving job based on your personality and preferred lifestyle. First let's start with your lifestyle. Are you married? Divorced? Do you have children? Do you love adventure? Would you like to travel extensively and see the country, or have you already had that chance and would prefer to stay near home? 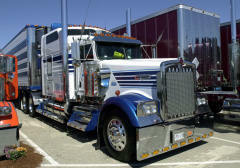 Home time is one of the most important considerations you should make when choosing a truck driving job. There is one point I can not stress enough – if you have a family of your own, please, please, please don't take an over the road truck driving job where you are gone for weeks at a time. 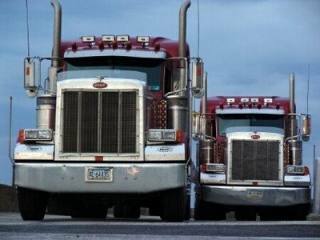 It's been done by thousands of truck drivers over the years, and is being done by thousands today, but the stress it puts on every member of the family is enormous and is simply not necessary. There are tons of opportunities in the trucking industry to make good money and be home at least every weekend, and sometimes even every night. Countless numbers of families have split up because of the time they spend apart. I certainly don't want to see that number grow. Even for those who have a family, regional truck driving jobs can be stressful, but I think it can be done - at least for a while. It will definitely test your relationship with your spouse and with your children. Ideally, you would like to be home with your family every day, but oftentimes your financial situation dictates that you get a really good paying job, which you may not be able to find with a local company. Be forewarned though, even a regional trucking job will be a HUGE test of your family's strength, not to mention the fact that you will miss out on so much of your family's lives. What if you're married, or in a serious relationship, but you don't have any children? There are a lot of couples that travel together. In some cases, both are drivers and share the driving duties, and in other cases only one drives and the other helps out in other ways like with navigation, phone calls, paperwork, and a variety of other duties. But again, be forewarned - the inside of your truck is the size of a walk-in closet and you two will be together nearly non-stop 24 hours a day, seven days a week. I don't know if you've ever tried to share a tiny space with another person practically ever minute of every day, but it is not easy. At best it will take a lot of getting used to, and at worst you will be at each other's throats at times. Some couples can handle it, many cannot. Oftentimes the only way to find out is to try it. But if you do decide to give it a shot, please don't give up your home or apartment right away. Wait a few months. If you can handle it for maybe three months then you should be OK. Often, though, both parties are glad that they can travel together sometimes, and at other times one person can stay home to give themselves a break and to take care of other responsibilities. There really is no easy answer for this type of situation. It's a matter of trial and error. Now when I started driving, I was 21 years old, hadn't traveled too much, had never been married, and had no children. The idea of traveling all of the time and living in the truck sounded awesome, and it was! The better part of my first nine years of driving was over the road. 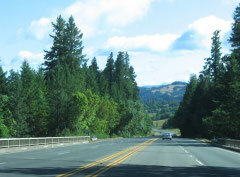 I would stay on the road for weeks and sometimes months at a time. I just totally loved it! It really suited my personality and lifestyle perfectly. I was able to give up my apartment, my vehicle, and just let the money pile up in the bank. I usually found myself driving a lot during the week and having a lot of free time on the weekends to entertain myself. I'd go to bars, sporting events, concerts, and do the "tourist thing" like in Las Vegas or New Orleans. It was spectacular! So your first consideration should be home time. But please be honest with yourself. Don't convince yourself to do something that deep down inside you probably have some serious doubts about. If you have a family, please try to find a job with as much home time as possible. If you absolutely NEED to make as much money as possible, at least for a little while, then try to formulate a solid plan that will get you out of your money crunch and into a position to take a job with more home time as soon as possible. I'm telling you, too much time away from home can ruin a family. Try to avoid it. In the next part of this series, we will talk about the difference between working at one of the larger trucking companies versus one of the smaller trucking companies. I've worked at companies with over 5000 trucks, I've worked at one with eleven trucks, and everything in between. There are some major, major differences between them, and we'll cover them in detail next. We'd really appreciate it if you would leave a quick comment so we know how we're doing and we can provide you with better content in the future. Thanks so much!